What a lovely picture. Look at those eyelashes! And s/he still has part of the amniotic sac on. Now that IS a brand new baby! Darling! 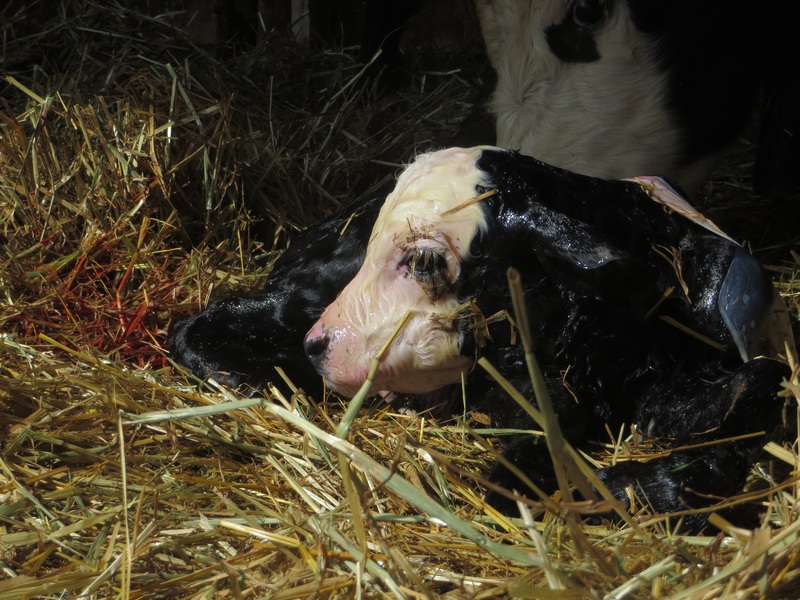 It brings back memories as a young girl of a new calf that we had. I’d even take a nap with it on the new hay in the barn! New life! and Mom’s TLC. That’s about as new as they get. 🙂 I miss having a passel of babies arriving… Hopefully *puppies* the end of April. I thought you were raising black Angus only in the photos I have seen. Does this white face suggest some Hereford mixed in? Wonderful photo! Beautiful. A picture of hope.